I made the bike controller interface for the Bitmap Banshees game. The controller was made by chopping a real bike and an exercise bike in half and mounting the front of one on the back of the other. 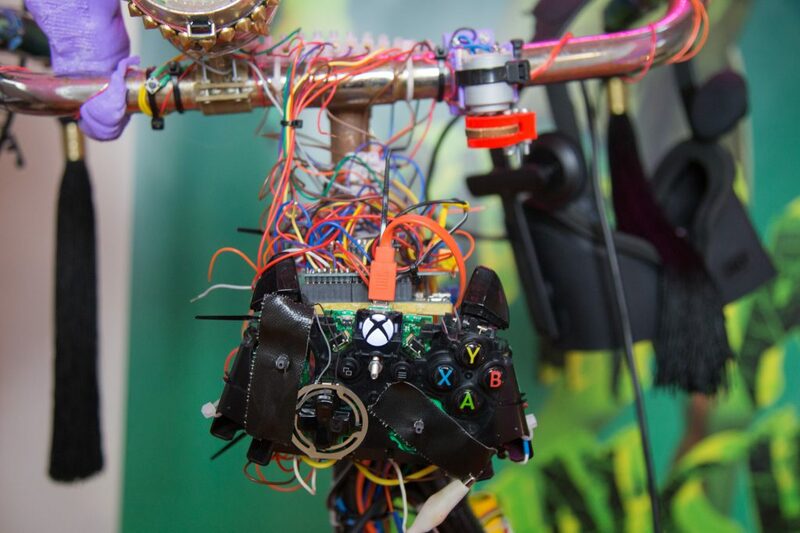 It interfaces with the Unreal engine through a combination of Arduino and a hacked x-box controller. 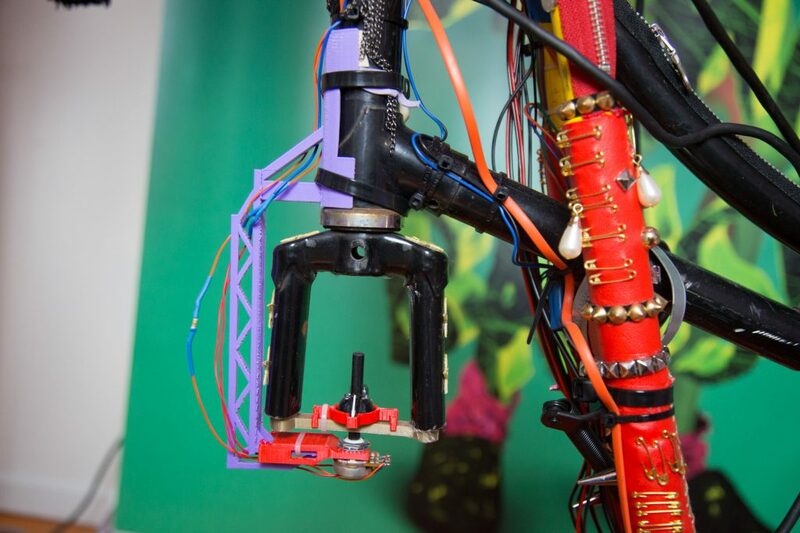 Steering is controlled by a simple pot attached to the bike forks. Speed control was originally attained by 3d printing a piece that attached the exercise bike’s original speedometer controller to a rotary encoder. That didn’t give great resolution though, so I switched to a hall effect sensor and magnets attached to the front chain ring. The main weapon in the game is the bell on the handlebar. 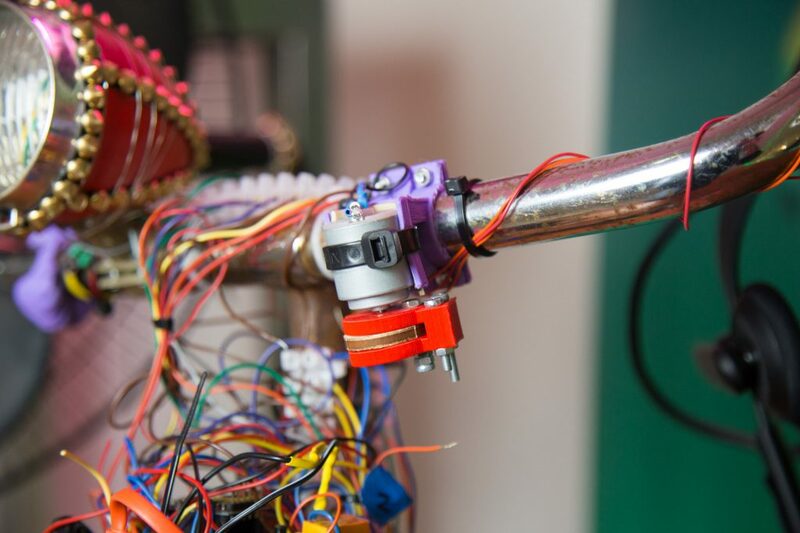 This is gotten through a switch mounted in the bell, which is read by an Arduino and then signals both the game and the LEDs on the bike itself. In the original installation LEDs up and down the floor would flash red whenever the bell was rung. I managed to get some haptic controls out of the game by using the hacked xbox controller’s motor leads as outputs. In the future I’d likely use either OSC or a Python script to get data out of the game. 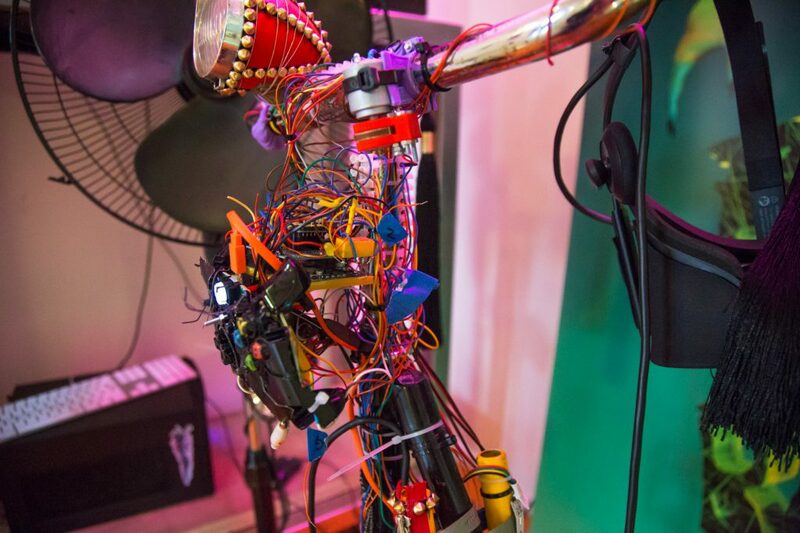 Side view of the Arduino/Xbox brain of the bike. The haptics consisted of an off-weighted motor on the handlebars and one on the seat.